Is the person an adult? Is the adult Baptized in the Roman Church? Did the adult die in a state of Grace? The adult is a Saint. Go to Heaven. Is the adult member of the Schismatic Eastern Church? The adult died in their sins. Go to Purgatory. The adult died in their sins. Go to Hell. The child died in their sins. Go to Purgatory. Is the person an infant? Is the child Baptized in the Roman Church? Did the child die in a state of Grace? The child is a Saint. Go to Heaven. Is the child a baptized member of the Schismatic Eastern Church? The child died in their sins. Go to Hell. The Lateran Council of 1515 stated the existence and dogma of the immortal soul. 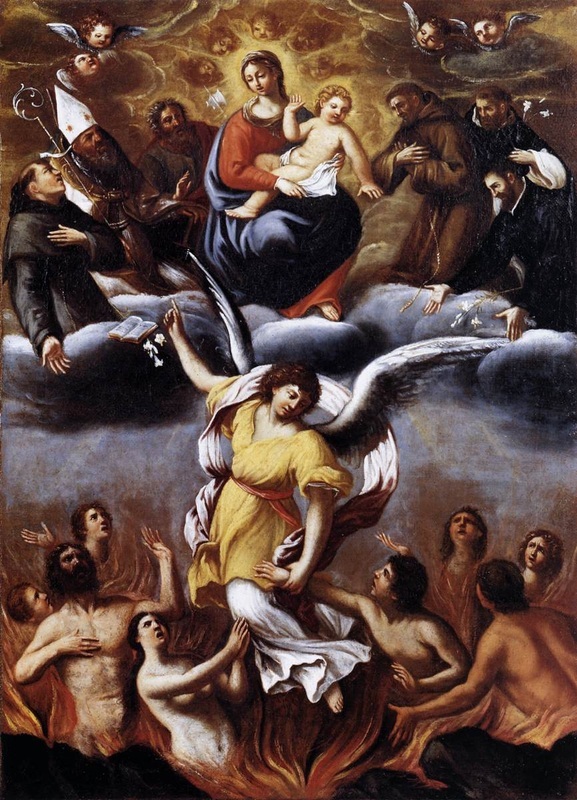 Souls in Purgatory can be helped by works of Mercy, Prayer and Masses said in their name. This assistance by the living allows the souls to be purged of their sins and pass to Heaven. One can presume that the souls in Purgatory will be judged at the Final Judgment. This presumption is not certain. The position of the Catholic Church has changed since 1965. All people can attain Heaven, even Heretics and non believers. The Creed is not recited during the Requiem. It is replaced by the Dies Irae. Therefore, at the Mass there is no statement of Jesus coming to judge the living and the dead by the faithful. There are references to a Judge (Judex ergo), but this Judge is not expressly stated to be Jesus (Cunta stricte). Quod sum causa and crucem passus allude to the Cross, not to the Judgement. Although there are allusions to the Judgment (Confutatis and Statuens in parte) and explicit statements concerning coming into eternal light (Lux aeterna), the omission of the Creed implicitly denies the Second Coming. Holy Michael (presumed to be the archangel) is asked to lead the faithful into the Holy Light (Domine Jesu Christe). The inquisitive researcher would be rewarded to compare and contrast the allusions and explicit statements of texts of the Requiem (pre 1965) and the Creed.